A Gent in Training: Things Are Going Swimmingly! 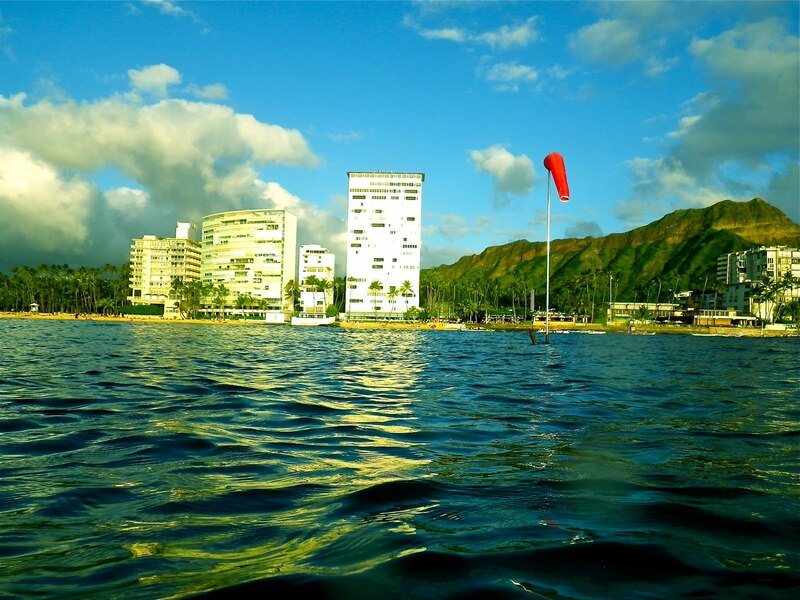 One of my favorite things to do on active rest days is to go on a nice ocean swim out to the wind sock off of Kaimana Beach. It's about 400-m or so there and back. A couple of years ago, I could barely swim 40-m. A lap or two in a swimming pool left me exhausted. Basically, all I knew how to do in the water was 1. Not drown; and 2. Move from Point A to Point B... if Point A and Point B were pretty close together. In other words, I knew how to swim, but my form was awful. So I decided to do something about it. After all, I live in Hawaii. I should be able to get full enjoyment out of the ocean. I started taking private ocean swim lessons from J.J. Kobelansky. In a matter of months my swimming improved dramatically as I learned proper body alignment, stroking, kicking, and (most important) breathing. While I won't be entering in roughwater swims in the near future, I am now at a point in which I can savor a nice, long swim in the ocean and come out feeling great and refreshed. For anyone in Hawaii who wants to improve his or her swimming ability, I highly recommend J.J.'s Swim and Fitness. He is a supportive, good-natured teacher who specializes in the water-phobic. I believe even decent swimmers could benefit from J.J.'s instruction, as there is always room for improvement. He certainly helped me!